What is the difference between reptiles and amphibians? 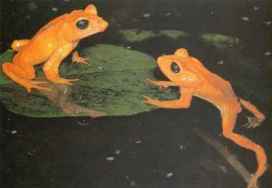 The word "amphibians" contains "amphi" which means double or two sides. The "bians" part refers to "bio",which means life. Thus, the word points to the fact that amphibians lead a double life, which in their case means that they live both in water and on land (frogs, for example). Reptiles, however, are restricted to living on land, since all throughout their lives they are air-breathing creatures; this fact doesn't limit their watery excursions, though. Because of its climate and geographical variety as well as its strategic location, Costa Rica offers an immense variety of flora and fauna. 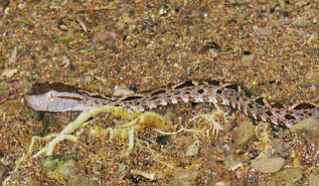 Among the abundant fauna are 160 species of amphibians and 200 species of reptiles.